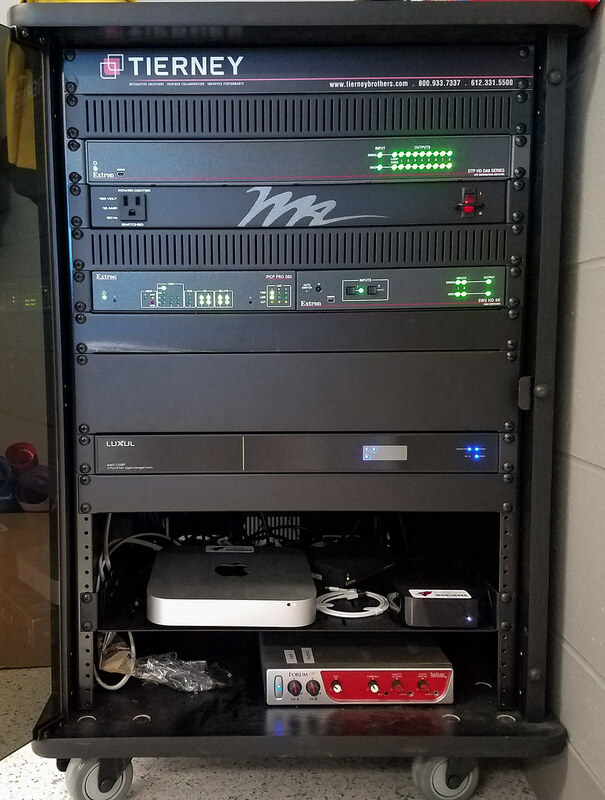 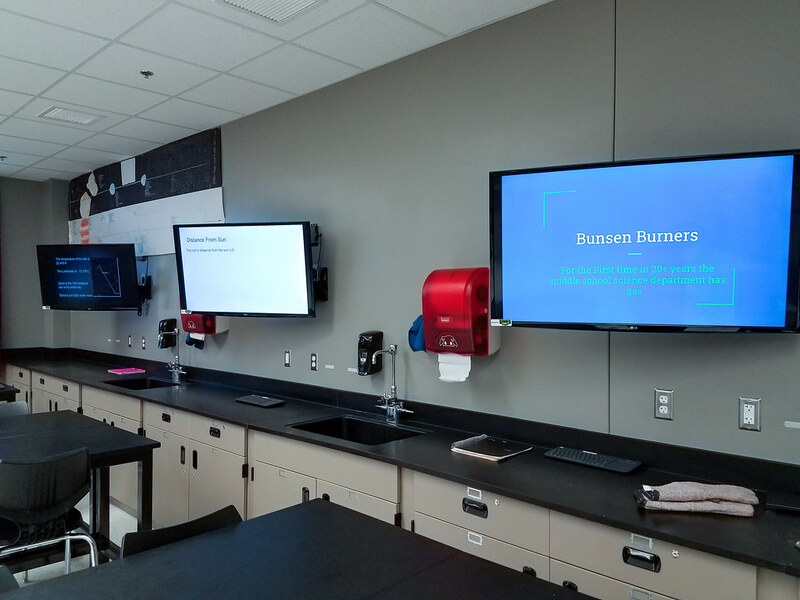 To help Willmar Middle School students engage more fully in their learning, Tierney designed and installed AV systems in eight science classrooms, which increased collaboration for teachers and students. 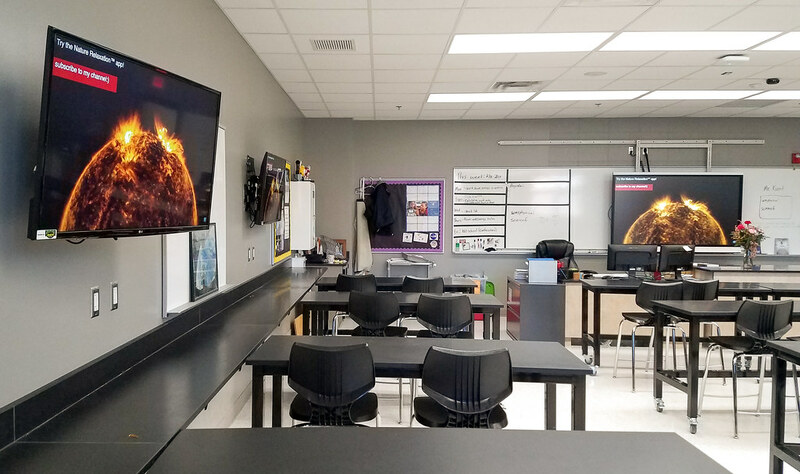 Each classroom consisted of multiple LG 43” displays lining the walls, which Tierney integrated with a SMART SPNL6075 KAPP IQ interactive panel at the front of the room. 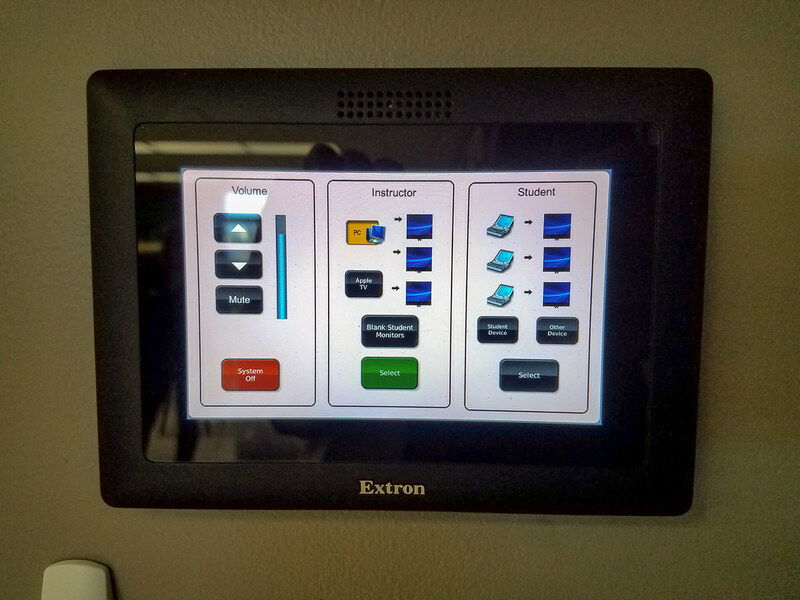 To control and route the content being displayed, Tierney installed an Extron 5” touchpad controller. 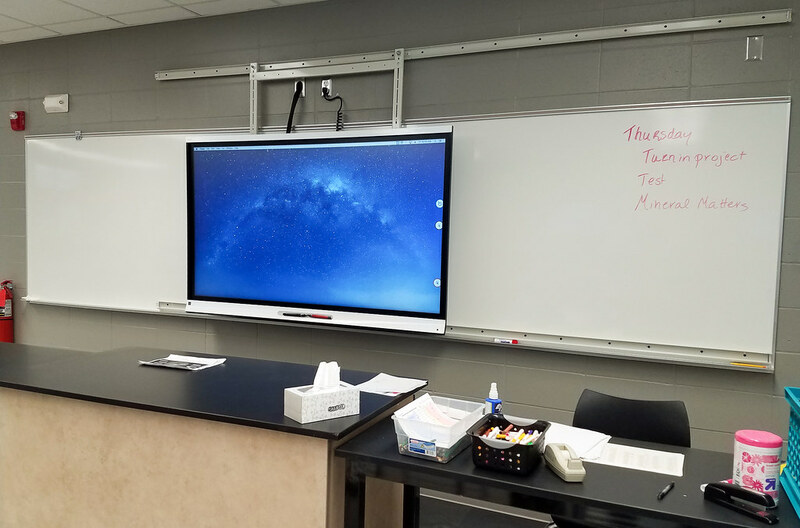 This allows the instructor to send master source content to all displays or release each display for local content so that students can share their media with smaller groups. 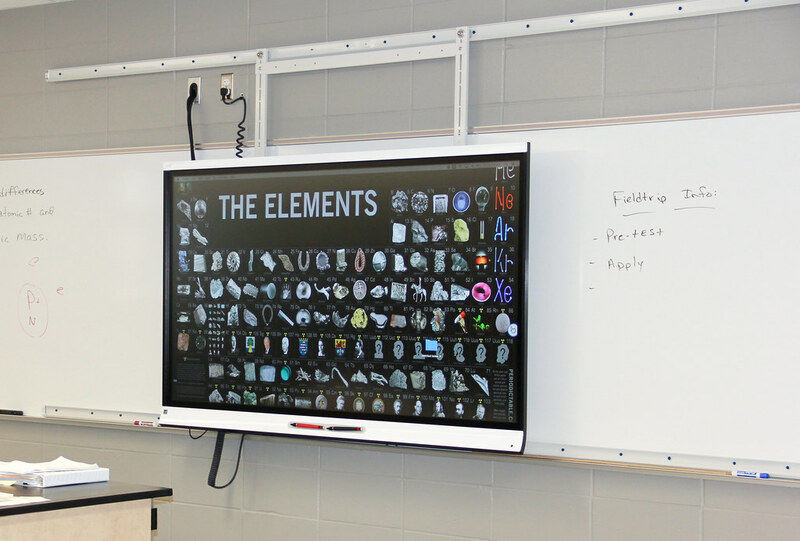 To solve the problem of a static display taking up precious whiteboard real estate, the SMART 6075 Panels were installed onto a Diversitrack over the board mount. 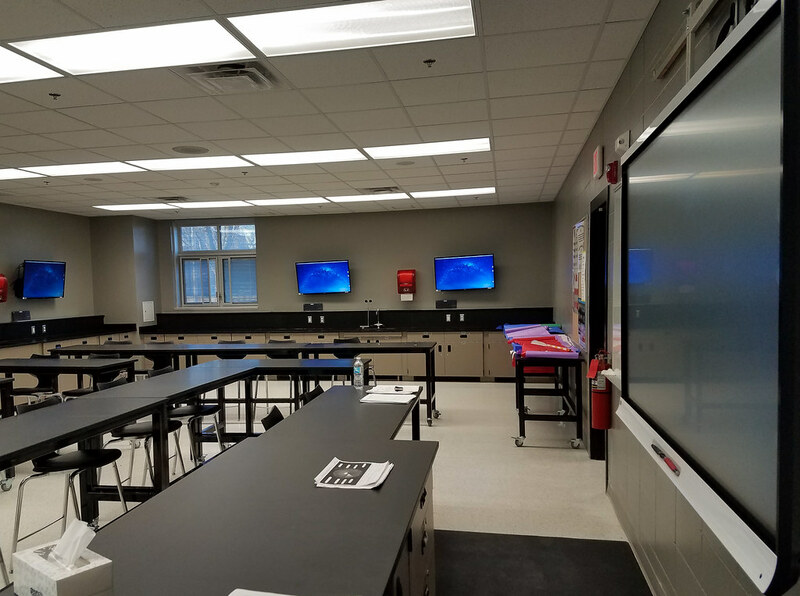 The Diversitrack allows the instructor to easily slide the SMART panel to different parts of the wall, exposing or covering different sections of the whiteboard behind it to allow for maximum flexibility. 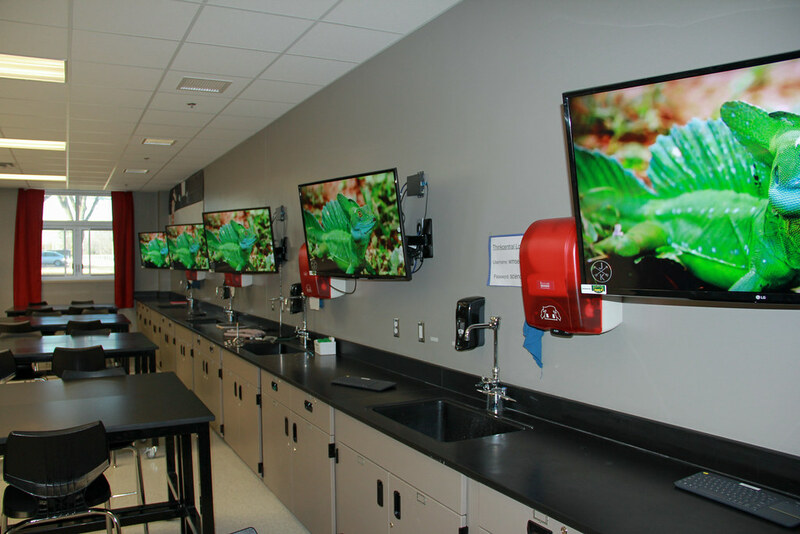 The results were an impressive increase in student engagement and more inspired learning. 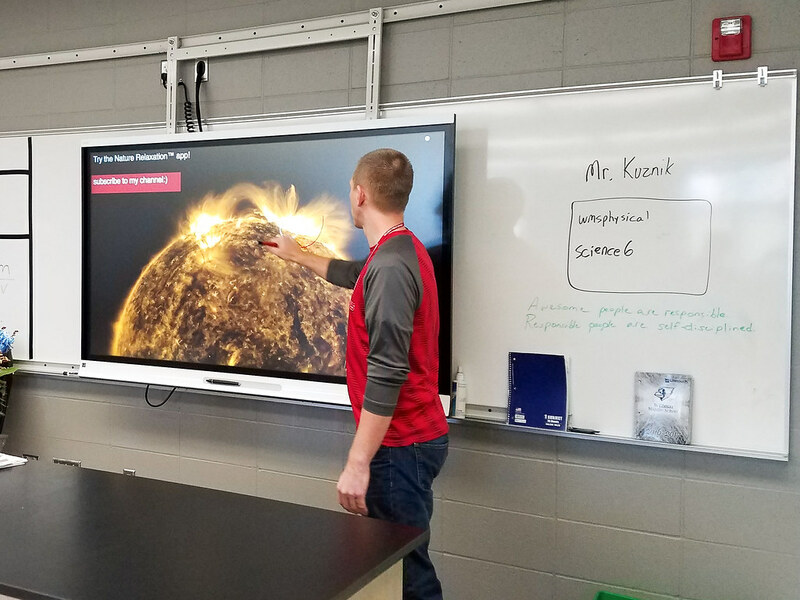 Tierney is proud to help Willmar Middle School facilitate greater learning and understanding with collaborative education technology.